Dr. Steve Shadrach has a passion for developing laborers for Christ to reach the world. He has been involved with many different collegiate ministries and has served as Pastor of Students and Missions at University Baptist Church (1983-1986) in Fayetteville, AR. He is also the founder of three organizations. In 1986, he founded Student Mobilization, which focuses on evangelizing and discipling college students in the U.S. and abroad. In 1999, he co-founded The Traveling Team, which focuses on mobilizing college students throughout the country, with Todd Ahrend (who pioneered the ministry). In 2001, he turned these two ministries over to the next generation of leadership to launch the Center for Mission Mobilization (formerly The BodyBuilders), which seeks to “engage, equip, and connect believers worldwide to their most strategic role in completing the Great Commission.” From 2004 to 2012, in addition to leading the CMM, he was the Mobilization Director for the US Center for World Mission, which included leadership of the Perspectives Study Program. Dr. Shadrach has a Master’s in Biblical Studies from Dallas Theological Seminary and a Doctorate of Ministry in Church and Parachurch Executive Leadership from Denver Seminary. He has written four books—The Fuel and the Flame: Ten Keys to Ignite Your Campus for Jesus Christ, Brown Like Coffee: For Students Who Think Outside the Box, The God Ask: A Fresh, Biblical Approach to Personal Support Raising, and Viewpoints: Fresh Perspectives on Personal Support Raising. Steve and his family reside in Fayetteville, Arkansas. Steve, his wife Jenny and their four children live in Austin, Texas where Steve runs a wealth management practice. Active in his church and community, Steve has served in various leadership roles including the Elder Board of his church and the school board. Shortly after getting married, Steve and Jenny served overseas as missionaries with Operation Mobilization and continue to have a heart for reaching the unreached. Gayle is a Little Rock native, a U of A grad, an early StuMo staffer, and lifelong discipler of women. She and her husband, Taylor, live in Austin and are involved in several ministries, including their church, Austin Oaks. They have two sons and two daughters, one of which is now in heaven. Max is an advertising veteran of more than 28 years, primarily helping non-profits in marketing and fundraising strategies. As Senior Vice President of Consulting and Client Services at RobbinsKersten Direct, Max participates in leading key clients, managing client services, and assisting in new business development. Max has been married to his wife Allyson for more than 25 years with two children, son Max III and daughter Breck. Their family lives in Fort Worth, Texas, and attends Christ Chapel Bible Church. Max is also a long-time participant in Bible Study Fellowship. Greg and Kathleen Parsons have been on staff with Frontier Ventures since 1982. The two met in Dallas while attending seminary, and were married in 1981. 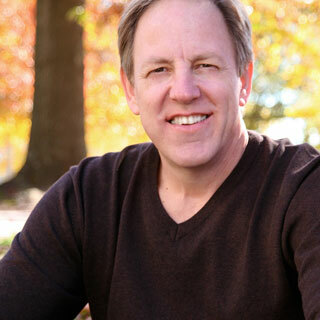 Greg now serves as Director of Global Connections for Frontier Ventures, is a regular contributor to Mission Frontiers magazine and has published two books. Greg and Kathleen both also serve on the board of Frontier Ventures, as well as WCIU, Christar, and Missio Nexus. Dave grew up in Lawrence, KS, and was heavily involved with Cru and Kanakuk Kamp while attending University of Kansas. He was an early staffer with StuMo, holds a ThM from Dallas Seminary, spent 14 years equipping leaders in China, and was the international leader for Asia for ReachGlobal, the missions arm of the Evangelical Free Church of America. He is married to Michelle, and they have three children and one grandchild. They live in Minneapolis where he is Director of Recruiting/Mobilization for ReachGlobal. During his college years in the 80s, Greg attended a Kaleo Summer Training Program sponsored by Student Mobilization. Later he became a stock broker for Edward Jones and now is one of their vice presidents in St. Louis. Greg, his wife Marian, and their children are involved in a local church and many other ministry activities. M.D. from UTMB in Galveston. He now practices medicine in Arlington as a colorectal surgeon. Todd married his wife Angela in 1998, and they have two sons (Drew and Luke, ages approximately 15 and 12). Angela is a dermatologist in Arlington. Both attend Pantego Bible Church in Ft. Worth, where Todd also serves on the elder board. God has given them a heart for financial generosity. They gave over 99% of their combined medical practice to a charitable foundation from which they give to Kingdom causes every year. Several years ago, they became certified presenters with “The Generosity Path,” a global initiative of the McClellan Foundation aimed to increase generous giving by global believers. Steve, his wife Carol, and four of their five children live in Fayetteville, Arkansas. He is the founder and Executive Director of the Center for Mission Mobilization (formerly The Body Builders).